The model needs at least one day’s of historical data to start making predictions; it is re-evaluated every 24 hours to create a forecast for the next 48 hours. 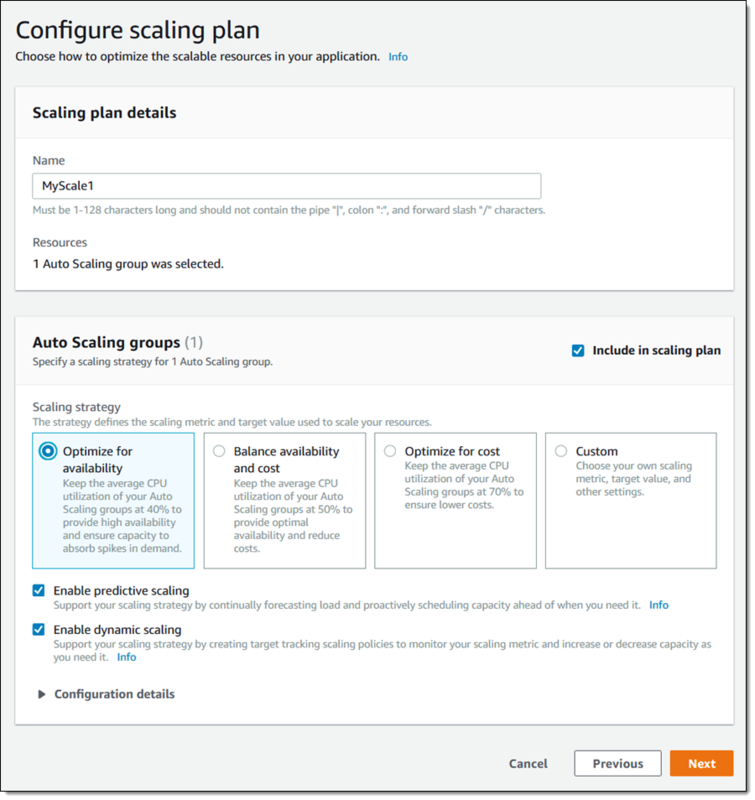 Predictive scaling is available now and you can starting using it today in the US East (N. Virginia), US East (Ohio), US West (Oregon), Europe (Ireland), and Asia Pacific (Singapore) Regions. This entry was posted in AWS, Cloud, Computer, Murmuring, Network, Service and tagged amazon, auto, aws, cloud, ec2, learning, machine, pattern, predictive, scaling, service on November 22, 2018 by Gea-Suan Lin.